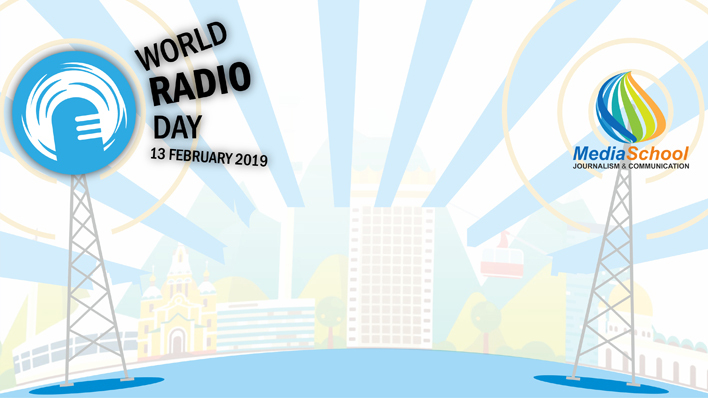 6-9 February 2019 the Faculty of Journalism of the Al-Farabi Kazakh National University in cooperation with UNESCO Almaty organizes the VI International Winter School of Journalism and Communication dedicated to World Radio Day. Promoting Dialogue and Participation - broadcasts that provide a platform for dialogue and democratic debate over issues, such as migration or violence against women, can help to raise awareness among listeners and inspire understanding for new perspectives in paving the way for positive action. Uniting Under Common Concerns - radio programming can also build tolerance and surpass the differences separating groups by uniting them under common goals and causes, like ensuring education for one’s children or addressing local health concerns. Since 2014, the Faculty of Journalism of the Al-Farabi Kazakh National University, with the support of the UNESCO Almaty Cluster Office, has been holding the International Winter School of Journalism and Communication, which has become media dialogue platform between students and practicing journalists. 110 participants: journalists, lecturers, scientists and students from Kazakhstan, Kyrgyzstan, Uzbekistan, France, New Zealand, Afghanistan, Russia, will mark the celebration. Information support: RTRK "Kazakhstan", Skills Academy LLP, Platform of independent authors Bugin.kz, Youth portal Massaget.kz, “Planet Radio” of Altai State University, TRK Al-Farabi KazNU. Organizer: Humanitarian Research Center "Mediasphere" Al-Farabi KazNU. Venue: the educational and recreational complex "Tau-Turan", located in the Ile-Alatau State National Park of the Almaty region.